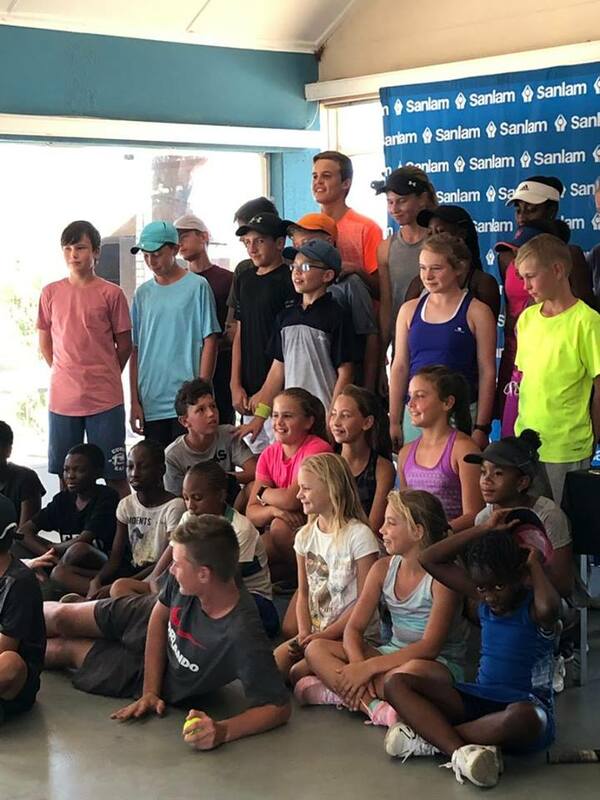 Pictured: Some of the participants of the first Sanlam Junior Tennis Tournament of the year. Tennis players from all over Namibia participated in the first Sanlam Junior Tennis Tournament of the year that took place over the past weekend in Windhoek. According to a statement by Santam the more than 70 entries received was well above number expected which guaranteed a tough competition for all the age groups. In the boys under 18 category, George Louw and Daneel van der Walt drew the attention to their fast and action packed final. Both boys aged 14 years have a lot of international experience. Van der Walt has beaten Louw in Swakopmund four weeks ago and gave his utmost to defend his title. He won in the semi-final against Sarel Janse van Rensburg 6-2 and 6-2. Louw overcame Dian Calitz in his semi-final with 6-2 and 6-4. In their final match, Louw and Van der Walt played excellent tennis at times, showing a variety of strokes and performed accurate services. With the score at 1 set each, they had to play a super tiebreak (First to 10 points). George Louw immediately took the lead by making less mistakes and keeping up the pressure. He triumphed over Van der Walt with 6-2, 3-6 and 10-4. In the boys u/12 section 16 players came to show their mettle in four round robin groups whereby the first 2 positions in each group were promoted to the quarter finals. Fitness and determination played a crucial role as the top players had to play up to 5 matches to reach the finals. Several matches were very close and the outcome was determined by tiebreaks. Abraham Alemu and Brian Edwards did very well and came second in their respective groups. Alemu beat Arnaud Marais 6-3, 3-6 and 10-5 in the quarter final round but had to bend the knee in the semi-final against the favourite, Ruben Yssel, who eventually took gold in the u/12 boys division. Xavier Klazen from Outjo played very well but was beaten in a close game in the quarters by Ruan Calitz 7-5, 3-6 and 11-9 who eventually took silver in their division. Calitz then took on Liam Forster in the semi-final which resulted in a nail-biting battle. Forster had 3 match points in the make or break super tiebreak 9-5 before Calitz kept his cool and won with 11-9. Ruben Yssel beat Calitz in the final 7-5 and 6-4 to finally win the well-deserved gold medal. The boys u/14 Division was comfortably won by Adam Diggle. His biggest opponent was Oliver Leicher in the final whom he beat 6-4 and 6-4. The girls u/14 Division was dominated by Raica Coelho who only lost 3 games in her 6 match quest to conquer gold. In the girls u/16 Division Lisa Yssel copied her brother Ruben in the O/12 division by winning without losing a match. Ayanda Basson in the girls U/10 division whitewashed her opponent, Minenhle Moyo from Swakopmund in the finals by winning 8 games to zero. The Girls u/12 division was dominated by Hayley Kidd from Swakopmund who only gave 2 games away in her quest for gold. Speaking at the prize giving, Sanlam Marketing and Communications Manager, Hilaria Graig, said, Sanlam is committed to making a meaningful contribution in the communities it operates. 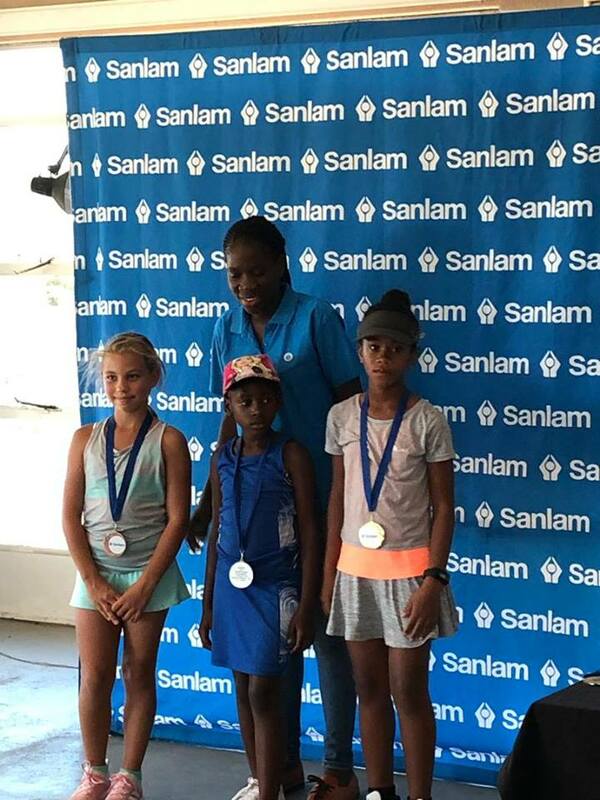 Graig said she was pleased with the record number of players who turned up for the Sanlam Junior Tennis. Sanlam has been sponsoring the Junior Tennis for the past seven years. 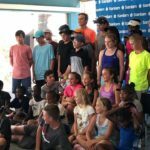 The Namibian Tennis Association also expressed their sincere thanks to Sanlam for their huge contribution towards development of tennis in Namibia and making it possible to host tournaments like this one. According to the statement the tournament was the ideal preparation for the Namibian U/12 team that will be leaving for Bulawayo in Zimbabwe in a week’s time. The teams are: Boys: J W du Preez, Ruan Calitz and Ruebn Yssel. Girls: Hayley Kidd, Karla Terblanche and Odycia Karaerua. The team captain is Idel Terblanche with Coach Norman Makuwaza.